TL; DR: When Salesforce acquired Demandware in 2016, it didn’t just fold a new asset into the company. Instead, Demandware became the foundation for the Salesforce Commerce Cloud, a platform to help retailers move past multichannel strategies and truly unify their commerce in the cloud. Through predictive intelligence and machine learning, the Commerce Cloud provides actionable insights from consolidated data that was once spread out across multiple channels and was often inaccessible. The Commerce Cloud is also integrated with social media sites like Facebook and Instagram and even employs a recommendation engine to show shoppers products they may like on those channels. These innovations and the company’s commitment to bring together commerce channels in the cloud have earned the Salesforce Commerce Cloud our Editor’s Choice Award™ for Multi-Channel Sales Unification. Salesforce’s market-leading customer relationship management platform got even stronger in 2016 when it acquired Demandware — the intelligent, cloud-based commerce platform. Demandware, now the Salesforce Commerce Cloud, was introduced in a keynote at Dreamforce 2016, and it was immediately positioned to be a game-changer. The acquisition of Demandware was an integral part of Salesforce’s plan to become an end-to-end cloud solution for retailers trying to unify sales channels and differentiate through improved customer experience. With the Commerce Cloud, businesses can use machine learning and social media integrations to develop personalized relationships with consumers. But everything begins with consolidating valuable data that is typically scattered over multiple sales channels. 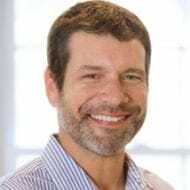 We spoke with Rob Garf, Salesforce Vice President of Strategy and Insights, about the Commerce Cloud. The Commerce Cloud approached the problem from a data standpoint, instead of the standard route of preaching technology integration. Salesforce uses software to integrate all of the data from a wide variety of devices, touchpoints, and processes, unifying it in the cloud. Information can then be analyzed by artificial intelligence and used to enhance customer experience through personalization. By taking that focused approach, the Salesforce Commerce Cloud allows enterprise and mid-market retailers to move their businesses into an increasingly connected marketplace with relative ease. Its commitment to transforming retail through unified commerce has earned the Salesforce Commerce Cloud our Editor’s Choice Award™ for Multi-Channel Sales Unification. Retailers often hit walls when they try to connect in-store channels like point-of-sale terminals to e-commerce platforms. If systems, processes, or information aren’t compatible, gleaning important insights becomes a hassle. In fact, eMarketer reported that only a quarter of business executives thought their omnichannel systems were properly implemented and working well. While developing the Salesforce Commerce Cloud, one point became clear: a technology integration-based approach was not what retailers needed. That customer journey is increasingly being played out across channels — beginning online and ending up in-store or vice versa — and the best way to make that experience seamless is to merge the data. A good example of a company that is thriving because of unified commerce is vineyard vines, a clothing retailer who turned to the Salesforce Commerce Cloud to connect its virtual and physical stores. By consolidating all of the company’s data, the Salesforce Commerce Cloud enabled vineyard vines to bring e-commerce to its brick-and-mortar stores with innovations like real-time inventory tracking across all store locations and in-store predictive recommendations. A seamless, connected experience is what consumers have come to expect. When a shopper can’t find a certain size shirt in a retail store, it is common for the customer to ask an associate to check another store. But many times, the associate will just go to the retailer’s e-commerce website and browse around. With the Commerce Cloud, company-wide inventory information is updated in real time and can be accessed through a connected device on the sales floor, creating a virtually endless aisle. The Commerce Cloud allows vineyard vines to manage its supply chain and customer experience through one platform — which is a fundamental tenet of unified commerce. But connecting online and in-store data is only part of what makes the Commerce Cloud so compelling; what it can learn from that information is equally as impressive. Einstein AI, which was also introduced at Dreamforce 2016, is the culmination of all the machine learning technology that Salesforce has either created organically or acquired over the last few years and runs through all of its cloud products, including sales, marketing, and commerce. But its intelligence really shines in the Commerce Cloud. Einstein AI and its machine learning capabilities are built directly into the Salesforce Commerce Cloud. Einstein is always learning about shopping behavior to create more personalized journeys through every channel, and its embedded predictive intelligence can be used to take friction out of the consumer experience. The faster a customer can see something relevant, the more likely he or she is to make that purchase. For example, Einstein can understand that a customer has been looking at blue items during an online search, so when he or she searches for a jacket later in the process, Einstein can make sure blue jackets show up on the product page. Commerce Cloud Einstein can automate action on insights, so retailers spend less time crunching numbers or brainstorming strategy. Einstein can also send predictive emails, reaching out to consumers with personalized recommendations and content aimed at building relationships while boosting conversions. Taking even the smallest amount of friction out of the customer journey can lead to an increase in the bottom line, and Einstein not only smooths out that friction but it’s actively involved in marketing and expanding a brand. Social media sites have become much more than just places to post updates and catch up with friends. Increasingly, they are becoming e-commerce entry points, and the Salesforce Commerce Cloud is helping retailers reach those users. 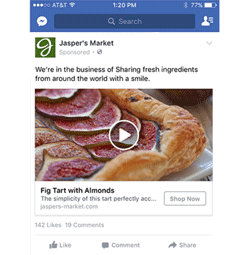 Retailers can reach customers through Facebook dynamic ads. Through integration with Facebook Dynamic Ads, marketing is taken to a new level of customization, allowing users to shop directly from the same app they use to keep up with friends and the world around them. Social media integration is part of a larger shift to distributed commerce, which is giving consumers the ability to shop from any device, platform, or application. A retailer can personalize marketing by showing Facebook users products directly in their feed, and abandoned shopping cart items can be retargeted back to consumers on Facebook. Salesforce’s Commerce Cloud also has integrations with Instagram and Pinterest, giving customers the ability to shop for curated items during everyday social media browsing, eliminating the friction of having to go to a retailer’s website. Salesforce has been an innovator in cloud-based software since its inception in 1999, but, with the acquisition of Demandware, it has become a true end-to-end solution for retailers of any size. The powerful Commerce Cloud allows businesses to connect their current processes and infuse intelligent machine learning into more business decisions. When businesses act on insights to personalize journeys across both digital and physical channels, friction is reduced dramatically. The Salesforce Commerce Cloud follows customers across multiple channels — from discovery to purchase to service — to ensure they have a positive brand experience and continue their journey with a retailer. Salesforce Commerce Cloud’s success in improving the consumer journey by seamlessly connecting channels has earned it our Editor’s Choice Award™ for Multi-Channel Sales Unification.